Hi Y’all! It’s April from Grade School Giggles. I don’t know about you, but this time of year is always crazy busy for me. 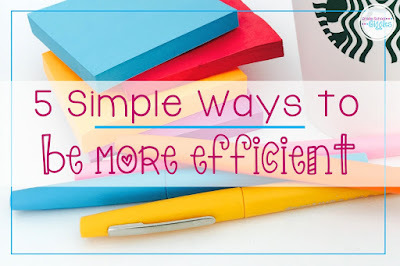 So, today I wanted to share 5 ways to be more efficient. Maybe it’s just me, but I doubt it. Teachers tend to be overachievers. We tend to think we can do more than we really can. If you’re finding yourself short on time, you probably need to limit yourself. You’ve got to prioritize and pour your time into the most important tasks. Work has a way of using up all available time. If you aren’t focused little tasks will pop up and fill in every second of your day. Priorities must be prioritized or they are really just stuff you should do. If you’ve narrowed down your priorities it’s easier to say, “I’m already committed” or “I can’t take that on right now.” Say no more so you can say yes to what matters. I find that filling in my available times with specific high priority tasks helps make sure things get done. Keeping a running to do list isn’t enough. I need to schedule the tasks to get them done. 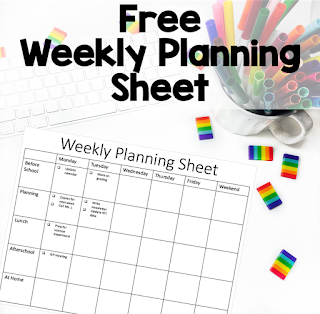 You can use this free planning sheet to help. I’m short and I often find that parts of cabinets, closets, shelves, etc. aren’t easily accessible. Often I need to use all of the storage available, but I definitely don’t want to constantly need to pull over a chair to get things down. So, I try to think of storage like a stoplight. Green - Things that I need to access constantly need to be grab and go. These are the things that I want to keep out all of the time. This stuff goes in baskets, boxes, or on open shelving. Yellow- I use it sometimes, but not as often. I can take it out to use and put it up when I’m done. This stuff stays accessible, but not necessarily out in the open. Put this stuff in drawers or cabinets. Red – I’m not ready to let go of this stuff. Maybe I need to hang on to it to cover my behind (think old paperwork) or maybe it’s specific to unit or season. This stuff gets stored out of the way. It might go in storage in the workroom, be boxed up on top of cabinets, or go in the back of a closet. It will come out when it’s needed. First of all, pick one a spot for all of the paperwork. If you don’t have a specific spot it will end up as a huge pile taking over your desk. Yuck! Create a way to sort it. Personally, I used a scrapbook paper tower for sorting my paperwork. Label your categories. Next, develop a management system. Plan when you will check your mail and when you will deal with paperwork. You can read more about what worked for me here. You’ll also want to have a routine for papers going to parents and coming in with students. 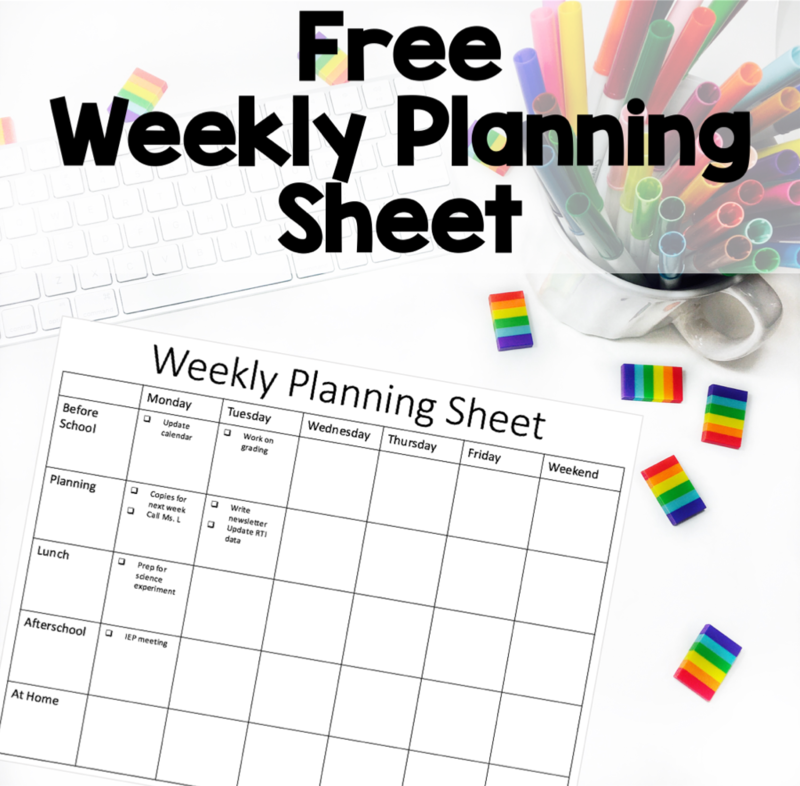 Some schools use the weekly folder, which is great for things like returning work and sending, PTA notes, and newsletters. But, you still need to have something that’s checked EVERY – SINGLE- DAY. of my favorite ways to do things only once. 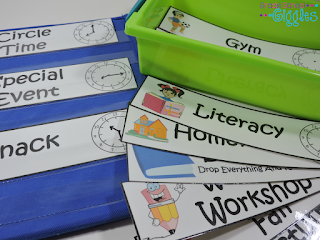 · Laminate blank nameplates, tags, and charts at the beginning of the year. You can write new student names right on top of the laminating when a new student arrives. · Use student numbers. Label cubbies, mailboxes, supply boxes, etc. with numbers rather than names. Not only is it less to write, but you can use them again year after year without relabeling them. · Laminate sticker charts and use a wet erase marker to initial them. · Create anchor charts, laminate them, and add the information or interactive parts with sticky notes or hook and loop tape so that the charts can be reused. · Use a solid colored fabric for the background of your bulletin board. It lasts for years! 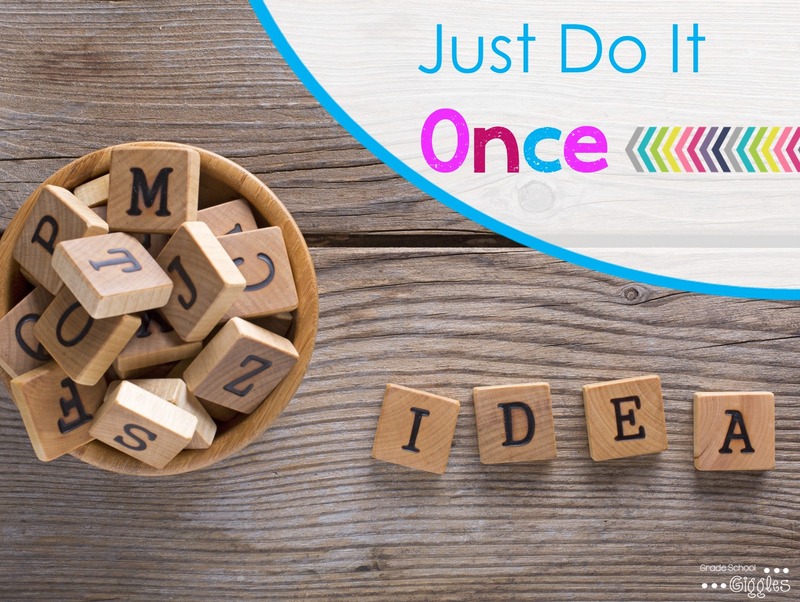 There are some things you need to do for your students because you’re the adult, but there are a lot of ways that you can increase their independence. The more independent your students are, the more you are freed up to support them where they really need it. Teaching is a job that never ends. If you’ve got help, use it! Parent volunteers are huge time savers. Let them help with things like running copies, stuffing weekly folders (add any confidential papers later yourself), laminating, and cutting out lamination. 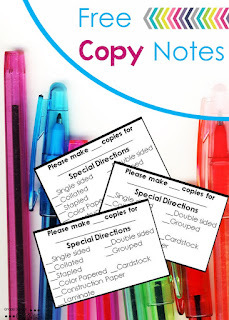 For repetitive tasks like running copies you can simplify things by writing out instructions once. 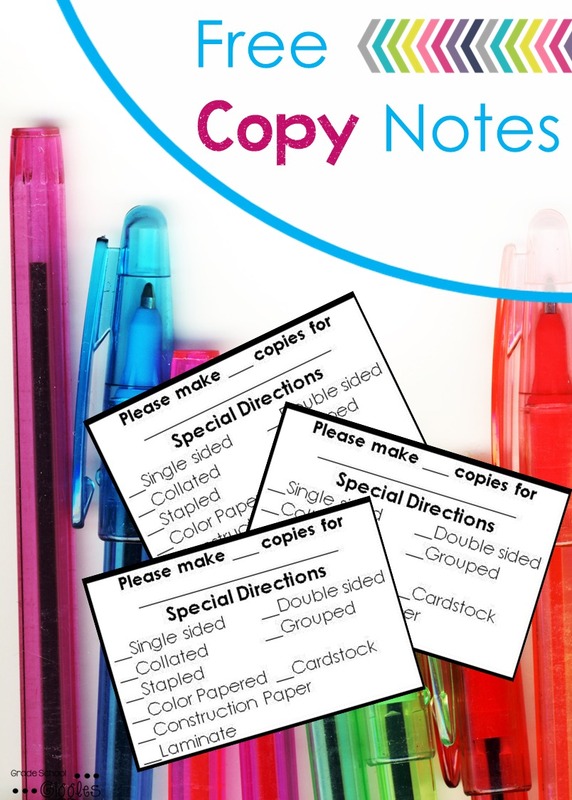 Copy notes make it super easy. You can read more about how to use them and get a free copy here. Hopefully you’ve gotten some ideas for being more efficient. If you have any tips of your own leave a comment and share them with us.